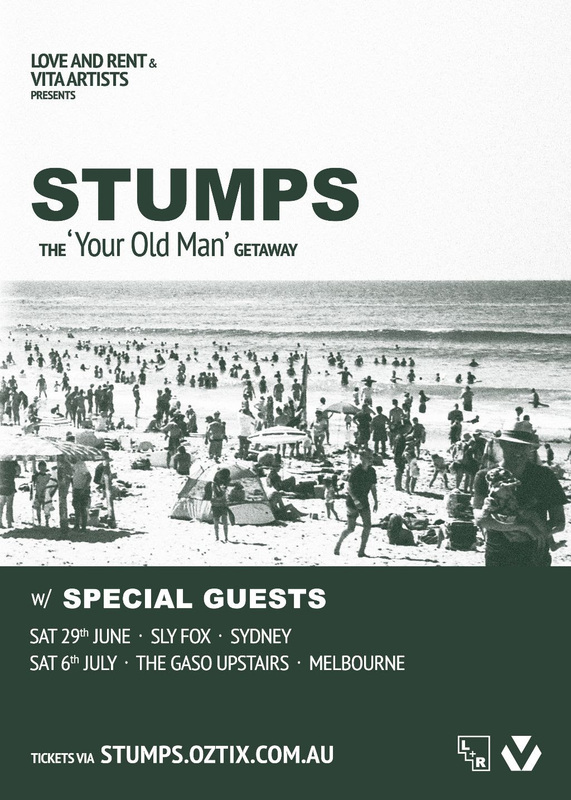 STUMPS today announce The ‘Your Old Man’ Getaway, hitting Sydney on Saturday 29th June and Melbourne on Saturday 6th July. The news arrives alongside the announcement of their recent signing to the Vita Artists bookings family. The boisterous four-piece from Sydney’s Northern beaches recently shared their earnest new single ‘Your Old Man‘, which received a premiere on triple j’s Home & Hosed and adds to triple j Unearthed rotation & Spotify’s ‘Local Noise’ playlist. ‘Your Old Man’ sees singer Kyle Fisher catalogue the experience of meeting his partner’s father who was a retired undercover cop. Slowing the tempo to deliver a heartfelt tone and lyrically tongue-in-cheek track, STUMPS reveal a more solemn, introspective side to their sonic styling. Having only formed in 2017, STUMPS have had an incredible run of achievements in their short time as a band. In 2018, STUMPS presented their much-anticipated debut EP titled ‘Just Another Stay at Home Son’ resulting in a sold out launch a week prior to the show. Following the success of their debut EP, STUMPS released ‘Conversation, Conversations’, a catchy Brit-pop single that received well-earned praise online and on radio. They’ve since toured with the likes of Trophy Eyes, Maddy Jane, Dear Seattle. With their new tune and animated live shows on the horizon, everyone, even ‘Your Old Man’ will be familiar with Sydney’s STUMPS by year end. Tickets to The ‘Your Old Man’ Getaway are on sale NOW.